Events never go out of style. There will always be weddings, birthdays, retirement parties, anniversaries and many other reasons to celebrate. People want to create lasting memories at these events and make them special. So what makes an event special or memorable? That’s where you come in. As an event planner, your job is coordinate the details of the event and make sure the experience is incredible. Your ability to be creative, calm, and in-charge while under pressure is your greatest weapon and the reason why you’re successful. But how do you tell the world about your wonderful events? That’s where we come in. With a successful digital marketing strategy for event planning that showcases your talent for turning the ordinary into the wonderful. Your next client is searching online for the best event planners in their area. With search engine optimization, we’ll help you get discovered. Beautiful images, easy-to-use navigation, and full of lead-converting content are must-haves of a website whether you’re a wedding planner or a social planner. If it’s wedding season or if you want to boost your digital exposure now, Google AdWords puts your brand in front of your audience when their search is revelant. Facebook and Instagram are the best places to promote your business. It’s where your future customers are getting inspired. Meet them there. Between clients, meetings with vendors, and location tours, how can the average planner maintain a blog? Our experienced content writers do it for you. Your ideal clients are in your own backyard. The event location, the guests, the supplies, and everything else are right around the corner. That’s why your target audience is also local. Boost the local presence of your brand with a search engine optimization strategy. Every month, there are hundreds or thousands of local Google searches for “wedding planner” or “business event planner”. Local SEO can help put your business in front of these people. The on-page optimization strategy for your business includes technical SEO performed on your website – optimization of title tags, meta title, meta description and more. Our goal is to increase the searchability of your website and make it as intuitive as possible for your target audience. 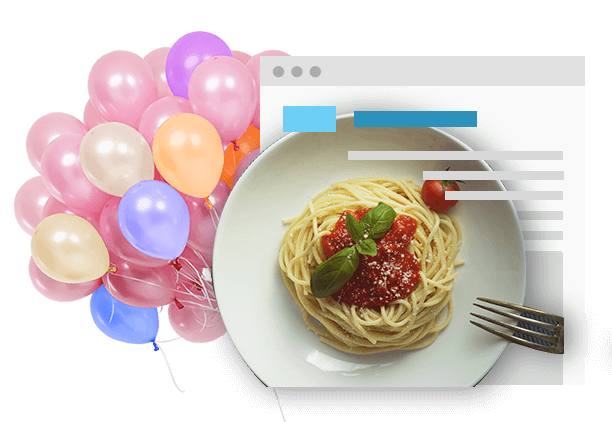 Off-page search engine optimization builds your presence elsewhere online via backlinks and their anchor text, social signals, and brand mentions. Claiming your Google My Business listing is key to being discovered in Google’s local search results when potential clients are searching for event or wedding planners in your area. 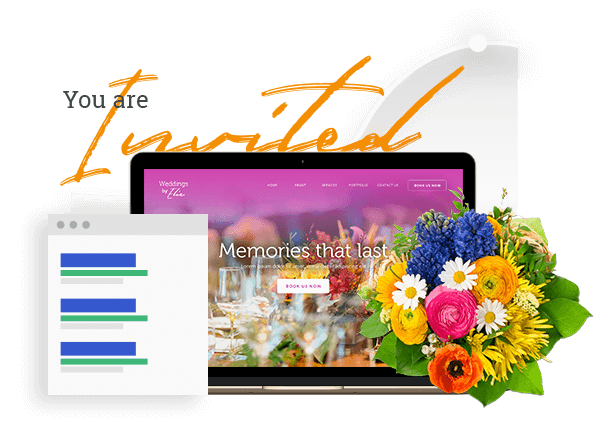 Anything less than jaw-dropping design and captivating images won’t be suitable for your event planning website. You’ve seen beautiful websites before and thought to yourself, “that’s what I want my website to look like… someday”. Well, today is that day. We’re in the business of creating great websites because we know how important it is for a business that wants to be successful in the digital age. It’s doubly important for wedding planners for whom the visually appealing is so important. 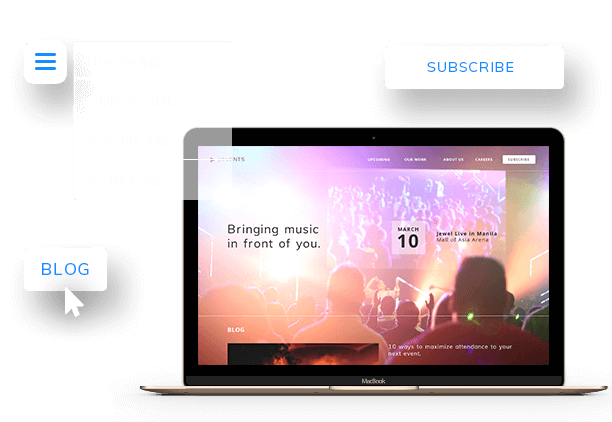 Your website is an extension of your brand, it’s your lead-generating machine that operates while you’re asleep, while your planning another great event, and all the moments between. Make sure it reflects your business well by letting our web development team work their magic. As an event planner, you know the importance of social media marketing and how important it is for finding new leads and for establishing your business as the best option for your future clients. The most event planners, the challenge is not how to keep a social media account – the creative flair and organizational skills required to create incredible social media marketing comes naturally to you. The challenge is maintaining the profiles, interacting with your followers on a regular basis, and maximizing engagements on your social media posts to turn leads into clients. Let our social media team can do it for you! Instagram, Facebook, and Pinterest offer more than just places to but your brand and some content. These key social media platforms offer places to strategically create, build and maximize a connection with your target audience. We can help optimize your profiles for lead generation, strengthening your brand, and gaining visibility. A critical aspect of social media marketing is engaging with your followers. The catch is, they may be talking about your brand anywhere on the web – beyond your social media posts. 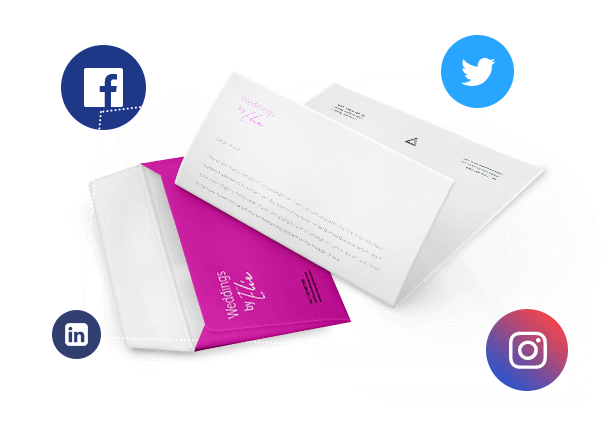 As a part of our marketing strategy for social networking, we’ll track your brand mentions, and help your brand shine wherever people are talking about you. It’s easy to share content that you want to share on your social media feeds, but what about what your audience wants to see? Always post for your target audience and use that to keep them coming back to your profile over and over again. Our content team and design team work together to make your social media look amazing. Sometimes, you need to reach your target audience in a hurry. Whether it’s an unexpected blank spot on your event calendar or you want to target people planning seasonal events. Paid search advertising puts your brand and event promotions website at the top of Google searches. With compelling copy, the right keywords, and strong call to actions, high conversion rates boost traffic to your website. So, it’s important to send your potential customers to a well-designed landing page that is relevant to their search and the copy in the ad. All are factors that contribute to your AdWords Quality Score which affects the cost per click. Paid search advertising, also called payperclick advertising, does not come without risk. 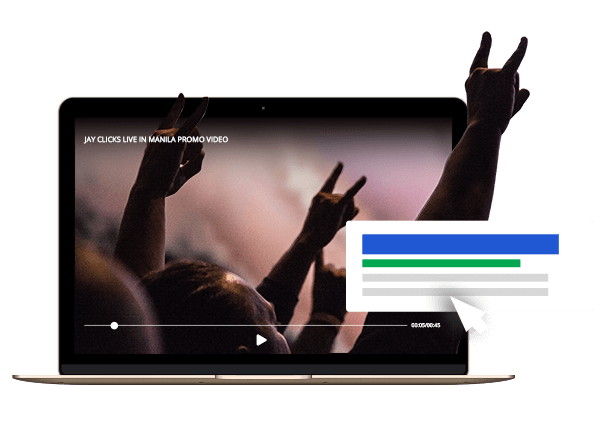 Each time someone clicks on the call to action on your advertisement, they are sent to a landing page on your website but you will also have to pay a small amount. By targeting the right keywords, you can reach an audience that is actually interested in your services and maximize your marketing budget ROI for your Google AdWords campaign. Your event planning business has a unique story of its own and brand storytelling is a great starting point for your content strategy. Every piece of content created will include elements of this story and your brand’s personality. As an events industry expert, you have to much share about your strategy for events, event ideas, how to create the ideal event experience. If you’re wondering why you would share information, the answer is easy: to establish your business as the best option for your future clients. Sure, some will use the information they learned from your blog post and try to go it alone and they may even have some success. But they’ll know and may share that the great idea came from your website. The more people know about your wonderful events or have the opportunity to attend your event, the more your story grows – and the more business you bring in. We Help You Reach People So You Can Create Wonderful Memories for them!